There is a strange interior contradiction to “Michael,’’ the first in a planned series of posthumous releases from Michael Jackson, out this Tuesday and currently streaming in its entirety on Jackson’s website. Reproduced in the booklet of the disc are several handwritten notes. 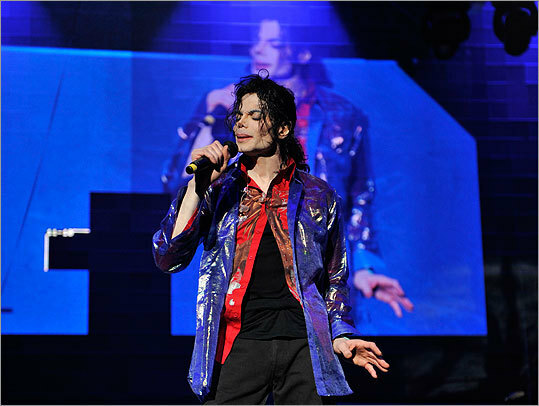 The first details Jackson’s process of hearing and constructing entire song arrangements in his head before bringing them to life. “I don’t give in until I get exactly what I want,’’ he writes. It’s a statement that argues against the very existence of “Michael,’’ which, 18 months after his death, presents 10 tracks that were in various stages of development but never finished to the superstar’s famously exacting standards. Instead, presumably trusted friends and collaborators — including Akon, Teddy Riley, Lenny Kravitz, and 50 Cent — took demos, sketches, and nearly completed songs and buffed them for public consumption. The result is shockingly better than might be expected — and in some ways superior to his final regular studio album, 2001’s uneven and bloated “Invincible.’’ Not shockingly, “Michael’’ only rarely approaches the heights of Jackson’s best work. It is economical and lis tenable, but much of it sounds like the solid second string efforts from his less thrilling later albums, fleshed out with contemporary R&B window-dressing — including elements Jackson favored like stately choirs and saccharine orchestral accompaniment. Lead-off track “Hold My Hand’’ is essentially an Akon song with MJ flavoring, filled with the hitmaker’s catchy handclap rhythm tracks and sing-song simplicity. Kravitz brings his A-game to the funky swagger of “(I Can’t Make It) Another Day’’ — which holds down the “Beat It’’/“Dirty Diana’’ rock slot — but the song, featuring Dave Grohl on drums, wouldn’t feel out of place on one of his own records. A reimagining of the Yellow Magic Orchestra song “Behind the Mask’’ — also recorded by Toto and “Thriller’’ keyboardist Greg Phillinganes and, more famously, Eric Clapton, with slightly different lyrics in the ’80s — has a fervent vocal, but the Franken-dubbing of various Jackson vocal signatures (“hee-hee-hee,’’ “hoo!’’) is indicative of the stitched-together nature of the whole project. 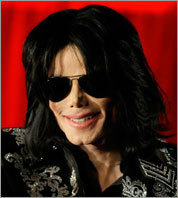 In the same sweetly contemplative vein of “Best of Joy’’ is the album’s closer, an acoustic “Thriller’’-era ballad with a Beatlesque delicacy called “Much Too Soon.’’ Notes indicate that Jackson liked the song “but never found the right home for it.’’ Is “Michael’’ the proper home for this, or any, of these songs? Fans may be glad to have it — and it does offer testimony that even his leftovers had sparkle — but it seems likely that he might not have wanted them to.